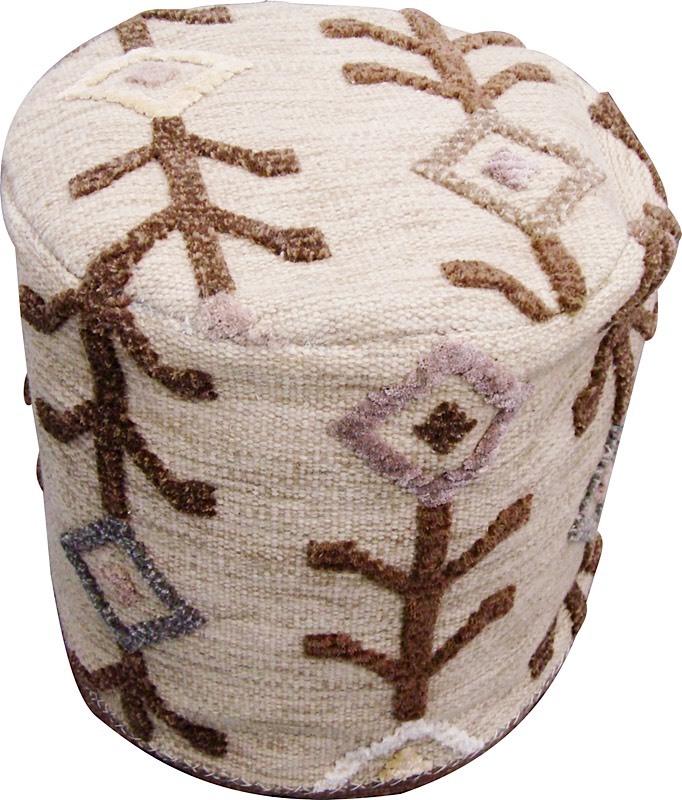 In a geometrical nod to a classic floral style, the Khema 7 Pouf is both whimsical and stylish. A wonderful addition to a contemporary or transitional common room or spare bedroom, this versatile, oversized cushion captures attention and captivates your house guests with its intriguing pattern and colorways. 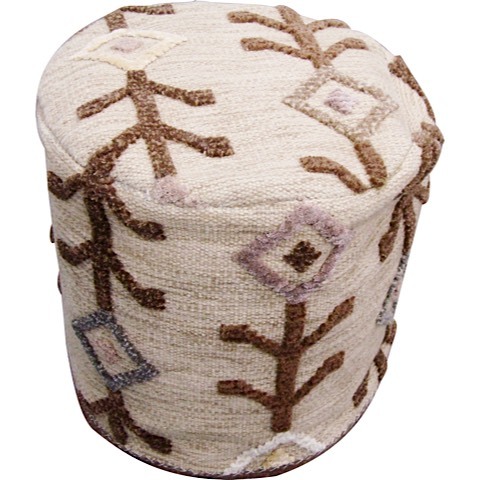 Use as spare seating or just as an object of decor, the bright, springtime hues of this pouf meet a neutral base in a distinctive look and shape not often seen in homes. Hand-woven using New Zealand wool in India.